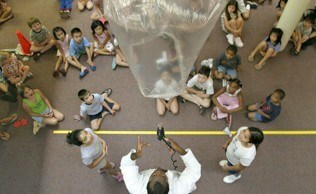 Children will be introduced to the scientific concepts of phase changes and states of matter. They will witness the phenomenon of sublimation as we demonstrate the unique properties of dry ice and the spectacular “smoke” it creates. 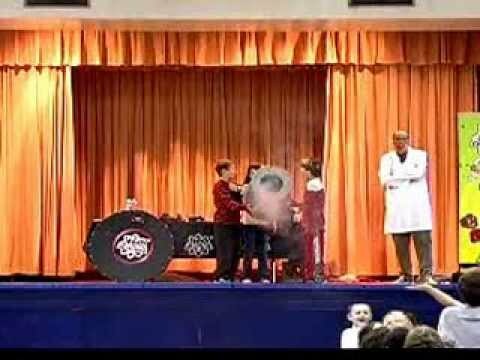 The children will learn that dry ice is really frozen carbon dioxide and will experience the Mad Science burp, a display of bubbling potions and, finally, a thrilling grand finale! Students will create a tiny world of atoms, using your very own set of Atomic Coins! Learn to recognize chemical reactions and mix up a few reactive ingredients for some sensational results! Your kids will be little paleontologists in this exciting class! They will learn about when dinosaurs lived, what they ate, and how scientists know they existed. Your kids will participate in a dig for the “fossil remains” of a mystery dinosaur, and they will even cast their own T-Rex tooth to take home. Do you have energetic preschoolers? This hands-on program will harness their energy as they learn about ... …energy! Using springs, wind up toys, and tube racers, they'’ll discover that energy can be stored and learn some basics about motion. This workshop is tons of fun! We'’ll explore the many ways in which we measure things every day, including time, temperature, weight, and length. Your preschoolers will learn all about weight as they balance mini teddy bears on a real scale. They'll also be introduced to length using a big "foot" that they can take home to keep on measuring! You'’ll get stuck on this class that's all about magnets. The kids will prove that opposite poles attract and like poles repel. The will "see" what a magnetic field looks like, and they will find out what materials are attracted to magnets. They will even learn some magic tricks using magnets! One of the most important ways to learn about the world around us is to take a closer look! In this class, children will get to use magnifying glasses, mirrors and microscopes, and their own two eyes to discover that things aren't always what they seem! They'll even make their own optical illusion toy to experiment with at home. This science class is definitely not dry! This hands-on class will let your preschoolers learn about what floats, what doesn’t and why. They’ll take a plunge into the science behind liquids, absorption, and surface tension. Each child will get to go home with a shimmering water tube. FULL DAY of science fun. 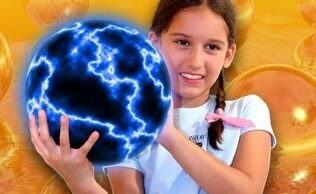 Try a Mad Science Sizzling Summer Science Day. 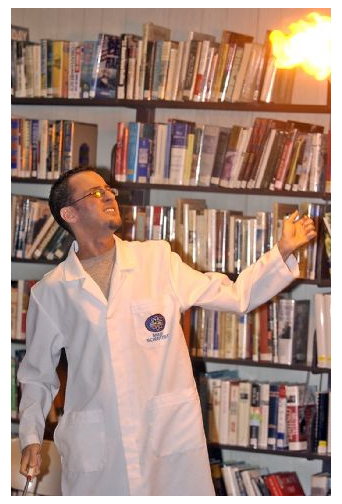 For one low, affordable price, Mad Science will come to your camp and present one super Special Event and nine or sixteen 50-60 minute workshops that will entertain and educate up to 100 children in a day.